What Does the Sales Director Agreement Really Say? In talking with hundreds of current and former Mary Kay sales directors, it is clear to me that many of them didn’t realize what they were agreeing to when they signed their agreements. It’s not because they didn’t read them before they signed them. It’s because after all the work they had done in DIQ, there was no way they were going to not sign that agreement and become a director. There was simply too much time and money on the line to not finish. And anyway… how bad could the agreement really be if 13,000 other directors had signed it? So…. were you aware of all these details in the sales director agreement? 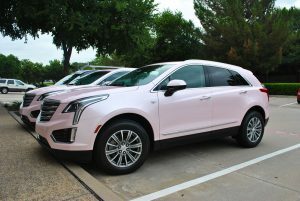 Mary Kay doesn’t give a copy of this to women before they go into DIQ. If they did, do you think women would go to all the trouble to become a director? So much for being a “business owner”. This is another one of those terms MLM has hijacked to make it mean something that it’s not. This is the biggest crock. There was a National finishing up her qualifications in my town, and she committed credit card fraud, sold out of a kiosk in the mall, poached other directors’ consultants, etc. My offspring and I documented all these charges and naively reported them to Corporate. Of course, she was bringing in a load of production, and Mary Kay was about to add another bright and shiny National, so nothing was done whatsoever. In the meantime, I am convinced that Mary Kay alerted her to my complaint, which was incredibly awkward, as we shared a training center and saw each other frequently. All these rules and regulations, and women still think they’re independent business owners? Well sign me up! I love to be told what I can and can’t do.